As a Certified Enterprise Coach I can provide hands-on experience and more insights into the Scrum model and help Scrum masters, Product owners, teams and everyone else involved to adapt to these new ways of working. Scrum in itself is very simple but getting it to work within an environment that is used to a less agile work method is very hard. Don’t forget that often people are not used to change and that makes it difficult. And sometimes the change is natural and implementing Scrum is easy. 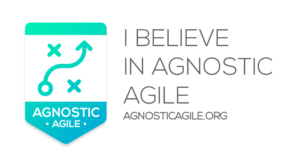 But even then, as a coach, I can help with bringing Agile within your company to a higher level. To ask the questions that are hidden and to have a fresh look at the way things work. More and more companies adopt Scrum as a new way of delivering valued products and to work more effective with fewer risks involved. Often companies hire trainers to deliver knowledge to the teams and even send people on Scrum training. This is good and often the best way to get Scrum to start. But often the first obstacles rise and companies start to realize that actually getting Scrum to a higher en professional level is hard. People need to get involved and change is needed everywhere. My transitions from Project Manager to Certified coach for me was very natural, as I’ve always believed that to get the best quality work and highly motivated people come from people them selves. By helping to unleash the potential and by working together as a team, great things can be achieved. It is merely my job to show and guide.